The U.S. Department of Education today announced a settlement agreement with DeVry University (DeVry), a subsidiary of DeVry Education Group Inc., resolving the Department’s charge that the institution used unsubstantiated job placement claims in recruitment and advertising materials. This settlement further enhances the Department’s oversight of DeVry and builds upon the Obama Administration’s commitment to protecting students, safeguarding taxpayer dollars and increasing accountability among postsecondary institutions. 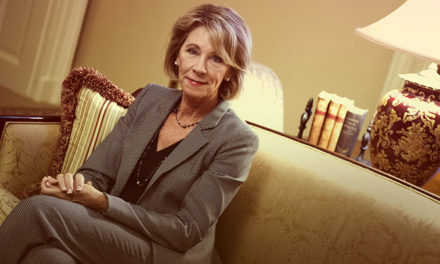 “Students deserve accurate information about where to invest their time and money, and the law is simple and clear: recruitment claims must be backed up by hard data.” said U.S. Secretary of Education John B. King Jr. If a postsecondary institution advertises job placement statistics to recruit students, federal law requires that the institution be able to substantiate the truthfulness of such claims. In August 2015, the Department requested that DeVry provide data and other information to substantiate DeVry’s advertised claim that, since 1975, 90 percent of its graduates were employed in their field of study within six months of graduation. After reviewing the information that DeVry provided, Federal Student Aid found that DeVry could not provide evidence to substantiate this claim. The Department is also working closely with the Federal Trade Commission (FTC) in connection with its lawsuit against DeVry which alleges the institution’s advertisements deceived consumers about the job placement rates in graduates’ chosen fields of study, and falsely claimed graduates would earn more than those graduating with bachelor’s degrees from other colleges or universities. The Department will continue to support the FTC’s ongoing lawsuit against DeVry, while also continuing its own investigations of the institution. Today’s agreement settles only the issue of a single, unsubstantiated claim and does not prohibit the Department from imposing future enforcement actions against DeVry in the event of additional findings. Effective immediately, DeVry University will be participating in the federal student aid programs only through a provisional program participation agreement. As a result of this settlement, DeVry’s provisional status may last as long as five years. Moreover, DeVry also agreed that its continued participation in Title IV federal student aid programs will be contingent on complying with additional requirements. •	Take steps to rid the internet of the “Since 1975 Representation” (both on its own website and on websites not under its direct control). The funds from the letter of credit may be drawn in part or in whole by the Department to pay refunds owed to or on behalf of current or former students of DeVry, to provide for transitional costs, including teach-outs, of students enrolled at DeVry in the event of a closure, or to pay institutional liabilities owed to the Department. The letter of credit represents roughly 10 percent of DeVry University’s total Title IV aid revenue for the 2014-15 award year. Additionally, DeVry University has been placed on Heightened Cash Monitoring 1, a Tile IV program method of payment that will require the institution to provide documentation of qualifying federal aid expenses before accessing funds. This financial oversight action enables the Department to more closely monitor how the institution handles federal aid dollars. DeVry must also comply with additional notification requirements to the Department. Separate from and unrelated to the settlement, DeVry has previously announced that it will no longer require students to agree to mandatory arbitration clauses, allowing students to seek redress of grievances in court and that it will restrict its reliance on all federal sources to 85 percent of revenue, in line with President Obama’s 2017 budget proposal. The Enforcement Unit, announced in February, collaborates with partner state and federal agencies, in building cases against institutions of higher education that engage in wrongdoing. The Unit includes four groups – Investigations, Borrower Defense, Administrative Actions and Appeals, and Clery – and utilizes a broad set of interventions and tools, including subpoena authority, document demands, interrogatories and interviews to enforce against violations of federal law. In the 2014-15 aid year, DeVry Education Group, Inc. enrolled roughly116,500 Title IV aid recipients. 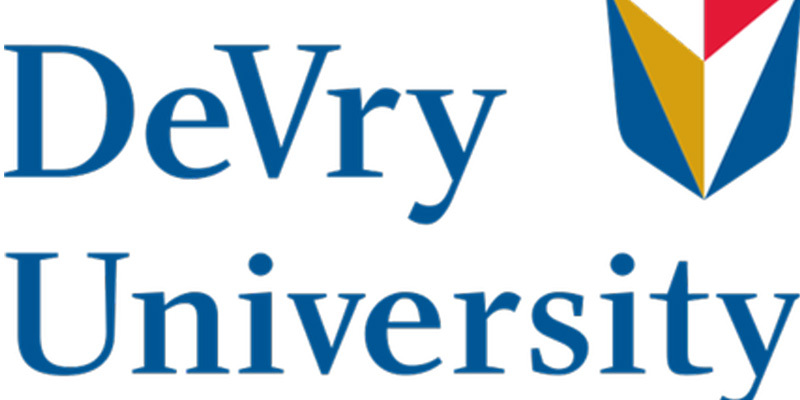 Of those, approximately 66,000 attended DeVry University as undergraduate or graduate students. That year, DeVry University received approximately $684 million in federal student aid dollars. PreviousWhat Part of Creation Reminds You of God?